“But God, it’s not fair.” “But God, why did that have to happen?” “But why am I so unhappy?” “Trust Me,” whispers Jehovah Jireh, God our Provider. “But I want out.” “Allow Me to purify and refine you,” pleads our suffering Servant. “But how can I …?” “God, I can’t.” “Let Me be your strength,” declares Almighty God. “But I can’t see through today to tomorrow.” “But I can,” states the Light of the World. “But God, remember what wrong I did?” “No, I don’t remember,” affirms God. “But what about my past?” “I AM,” declares God. “But I feel worthless.” “You are my precious child,” reassures Abba, Father. But God, Who comforts the depressed… (2 Corinthians 7:6). But God has surely listened and heard my prayer (Psalm 66:19). But God demonstrates His own love… (Romans 5:8). …but God meant it for good... (Genesis 50:20b). But God raised Him from the dead (Acts 13:30). 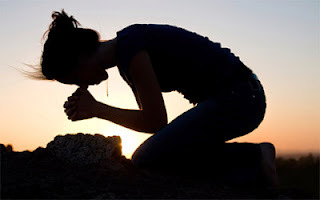 But Thou, O God, the Lord, deal kindly with me for Thy name’s sake… (Psalm 109:21). But the Lord is faithful, and He will strengthen and protect you from the evil one (2 Thessalonians 3:3). But God is the strength of my heart and portion forever (Psalm 73:26). But God is the Judge; He puts down one, and exalts another (Psalm 75:7). But God made the earth by His power; He founded the world by His wisdom and stretched out the heavens by His understanding (Jeremiah 10:12). But He knows the way I take; When He has tried me, I shall come forth as gold (Job 23:10). Lord, when I feel discouraged with my “buts”, encourage me and remind me that You have the last word.